Mumbai is one of the most expensive real estate areas in the world. Not only is home buying next to impossible for the common man here, but renting a house is also becoming increasingly difficult. The rents in its western suburbs and other areas are so high, that an average salaried rent is almost equal or even twice or thrice the amount he/she earns! In recent times, however, those who live on rent have shifted their focus on the city’s outskirts. The reason? Much cheaper rents for bigger homes and the number of offices increasing in those localities. 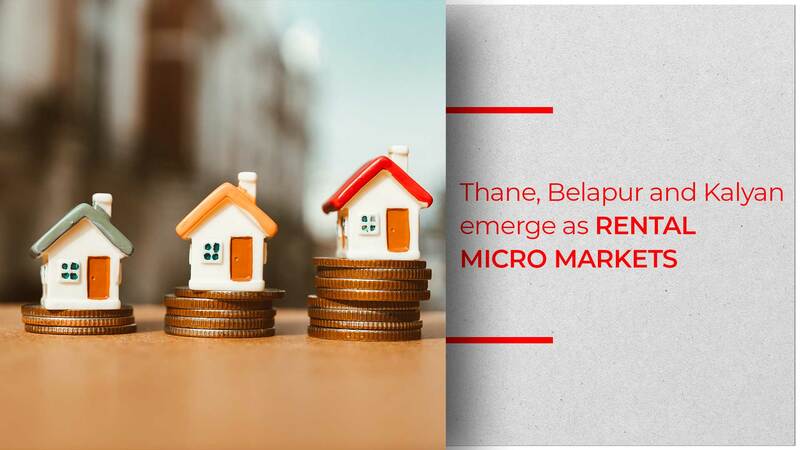 Real estate experts agree that Belapur, Kalyan and Thane’s Ghodbunder Road are being preferred by those seeking rented apartments over the mainland of Mumbai. According to Anuj Puri, chairman of Anarock Property Consultants, migration by Indian to Mumbai from other places across the country will not cease anytime soon. This reason makes rented homes in demand. “In a city where base property prices are so high, most people can only afford to rent, and so new micro markets are emerging in the affordable category,” Anuj said. Anuj further added that many investors have sensed this and have invested in real estate with the sole purpose of renting homes in these areas. Ankur Dhawan, chief investment officer at Proptiger.com said that more than 21,000 new apartments were delivered here in 2018. “This has kept rental prices in check. Even in Ulwe and along Ghodbunder Road, you can get a 1BHK for Rs 5,500 to Rs 7,500 a month,” Ankur added. The added advantage to these locations is that connectivity from here to the rest of the city is becoming more seamless. Metro and monorail links are in the pipeline and expressways already ease the travel to and fro. Another advantage of these locales is that greenery still exists here and there is lesser pollution and congestion. Rent is thought to be affordable if it costs between Rs 9,000 to Rs 25,000 per month.